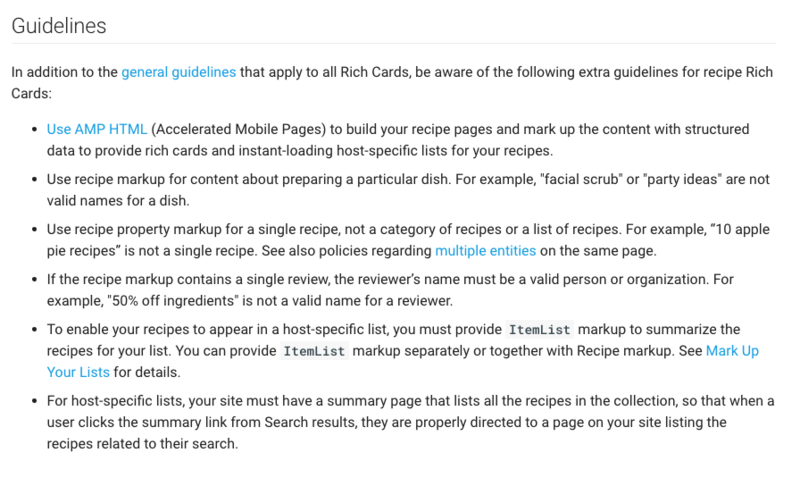 Another one spotted by Aaron Bradley and posted on Google+ was that Google updated the guidelines around recipes markup to say you should use AMP HTML. Use AMP HTML (Accelerated Mobile Pages) to build your recipe pages and mark up the content with structured data to provide rich cards and instant-loading host-specific lists for your recipes. 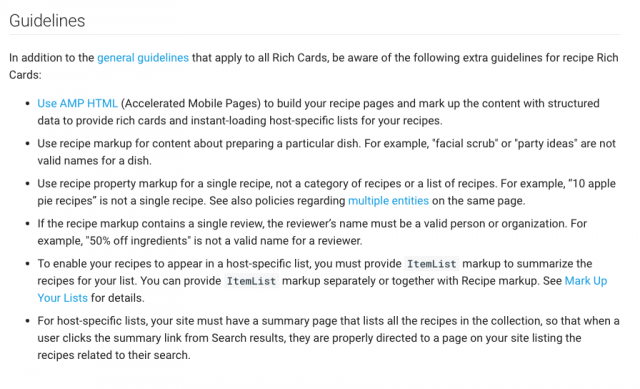 Build your recipe pages with AMP HTML, and mark up your recipe content with the following properties of the schema.org Recipe type. In addition to the required fields, mark up as many of the recommended fields as possible to drive better engagement in Search. Here are before and after screen shots of both sections. Aaron explained "the obvious TL;DR here is "use AMP"! But Google's advice is verging on being prescriptive here, although AFAIK AMP is still not actually required to generate recipe rich cards."